We all have seen the great pilots — Luke, Vader, Han, Kylo, Boba Fett, Rey, Anakin, and Chewbacca — on the big screen. 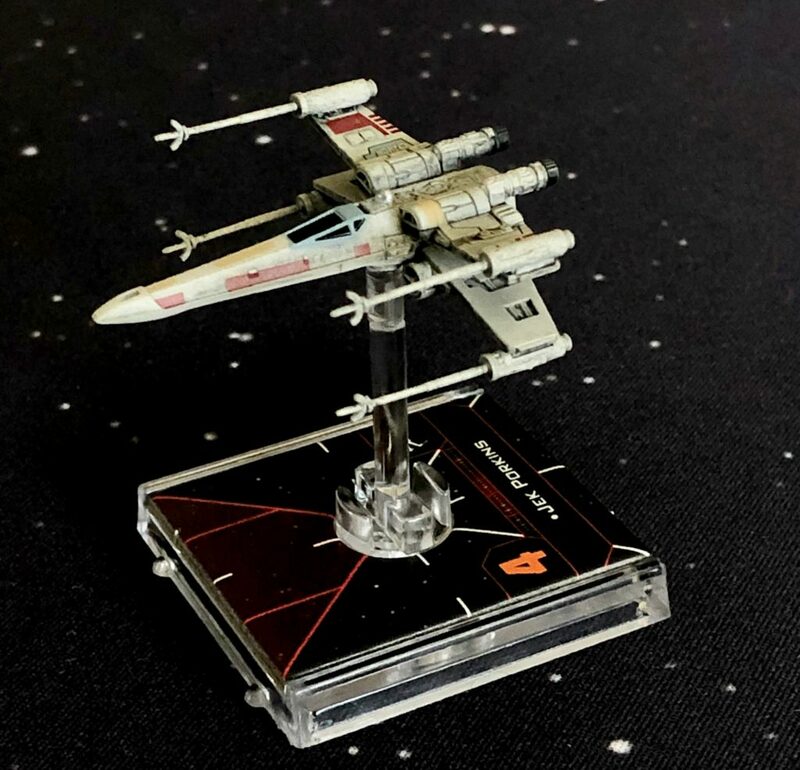 Now, with the newest wave of pre-painted miniatures from Fantasy Flight Games, you can fly with all of them in X-Wing Miniatures Game 2.0, right on your kitchen table. 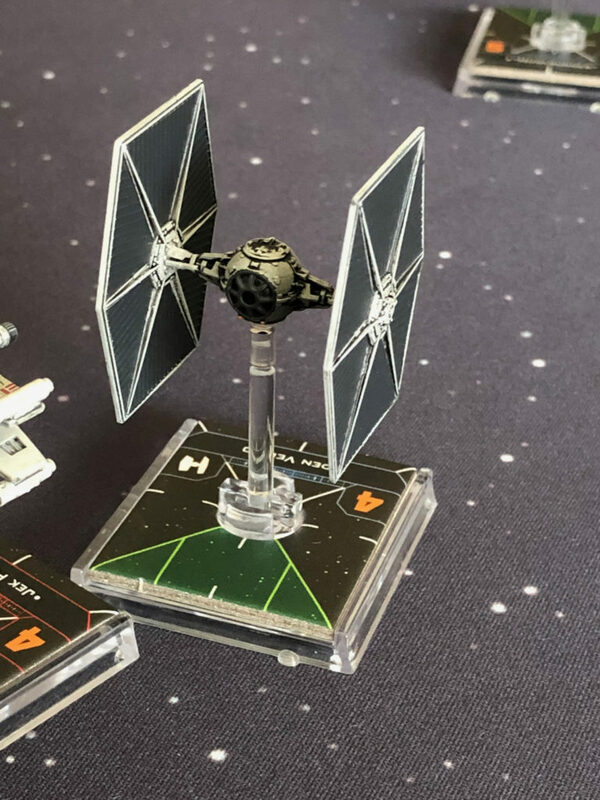 As of March 2019, Fantasy Flight Games (FFG) has released ships and pilots from all eras of the Star Wars saga, from the Jedi and clones of the Republic to Kylo Ren and the hordes of the First order. You and a friend can take flight in epic starfighter combat in your own home or local game store. I had a passing interest in the detailed models FFG released since Star Wars Celebration 6, when I saw them demonstrating games on the convention floor. With the release of a 2.0 version last summer and the announced release of the Republic and Separatist factions, I knew now was a good entry point into this game — one that seems easy to learn but hard to master. 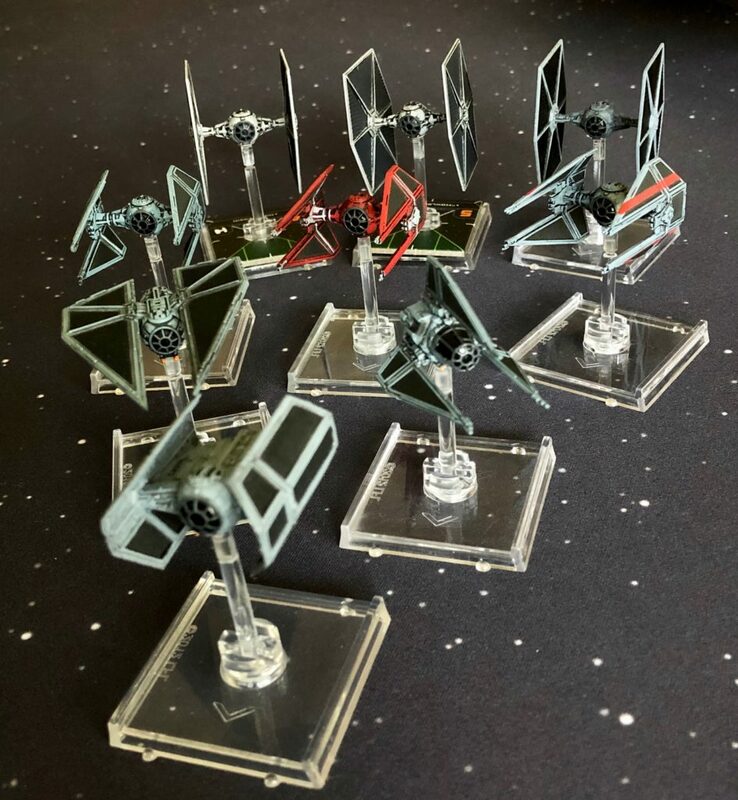 X-Wing also feeds the collector side of the player base with dozens of ships all pre-painted and some with alternate paint jobs to reflect great pilots and ships over the whole saga. 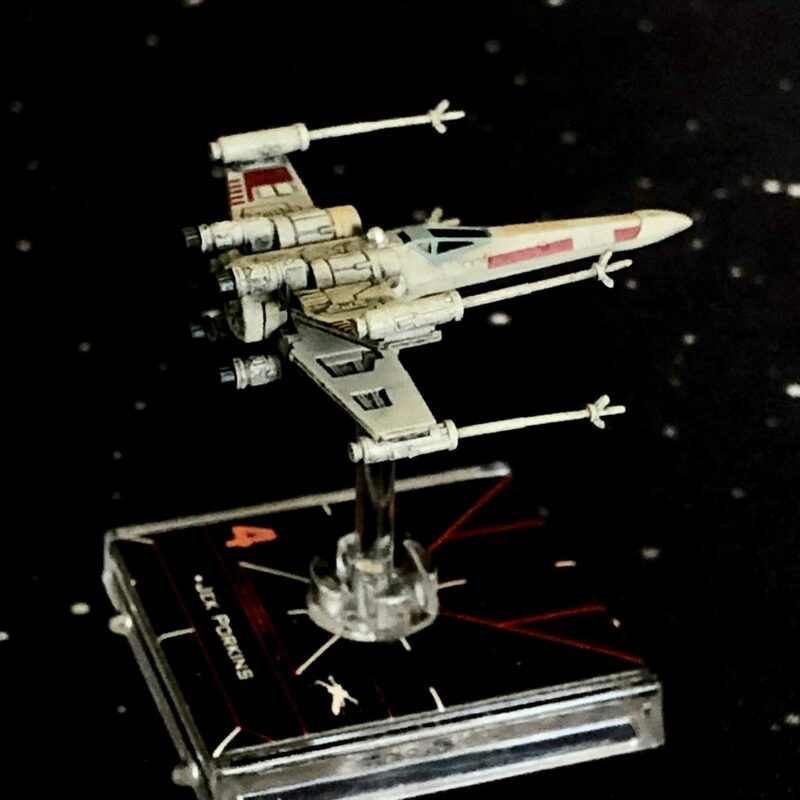 X-Wing and Tie Fighters have had numerous paint applications, the Falcon has 3 iterations depending on where in the saga it has been pulled from, and the droid armies of the separatist are on the way with an exclusive paint color vulture droid, at Adepticon 2019. 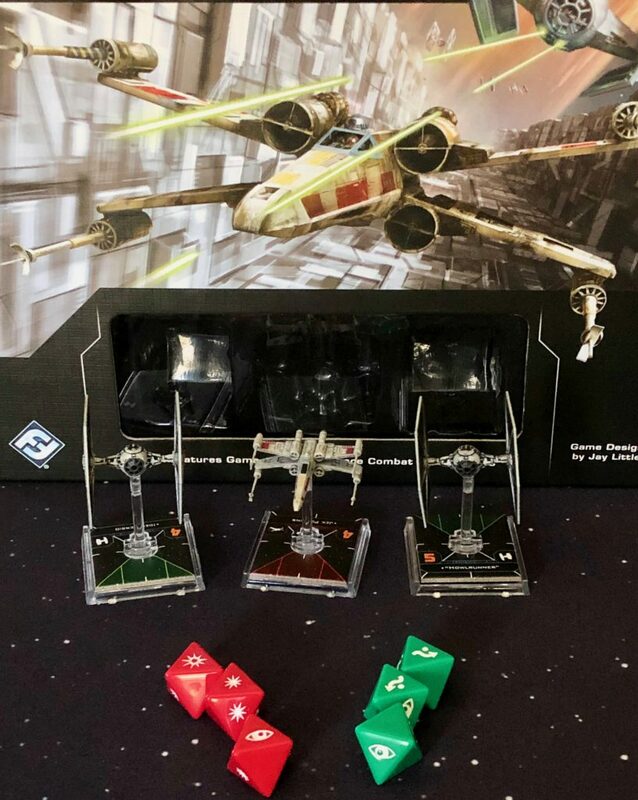 Gameplay is learned via a simple scenario included with the Core set (two Tie Fighters and one X-Wing) that teaches the basics of movement and combat. But within the simple game is a deeper game of decisions and consequences. Focus, Evade, Target Lock, and Barrel Roll are just a few of your options, depending on what ships you are flying. With the 2.0 launch, FFG added online squad building via an application on your smartphone. The community for X-Wing in my experience, both at my Friendly Local Game store and online, is great. 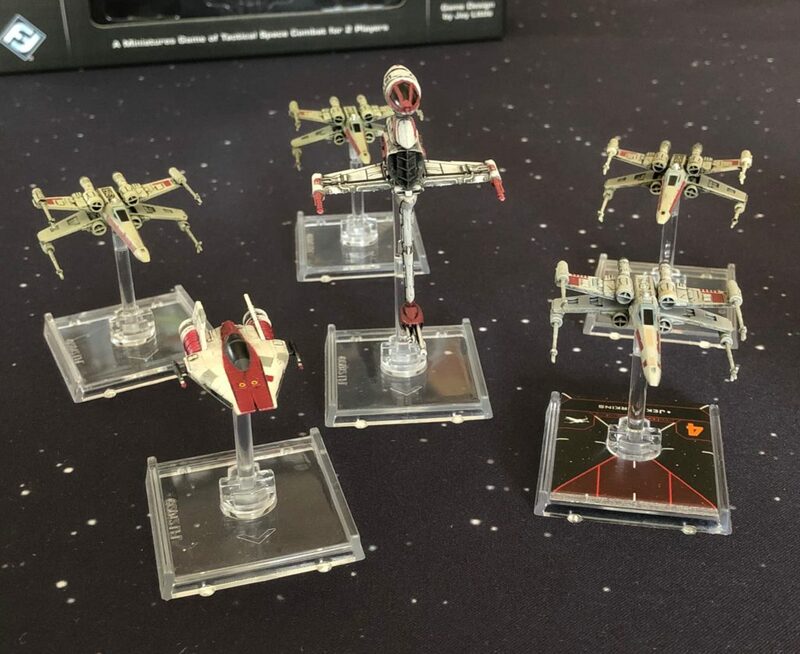 The online community for X-Wing is rich with content both for head-to-head and alternate format objective play, with dozens of sites and forums posting ideas and list examples, some great reviews of new and old content, along with breakdowns of organized play results. Customizers within this slice of fandom also have an amazing outlet for custom painted ships and the braver ones adding lights to these tiny Starfighters truly are works of art. One group holds an annual event called Campaign Against Cancer, X-Wing tournament to raise money for various charities around the world! This group will have a booth at the upcoming Star Wars Celebration (#1648). This year, they will also be having a painting show/raffle. The painted ships will be on display at Celebration and fans will be able to vote on their favorite custom ship. The ship with the most votes will also be raffled off to one of the voters at Celebration. 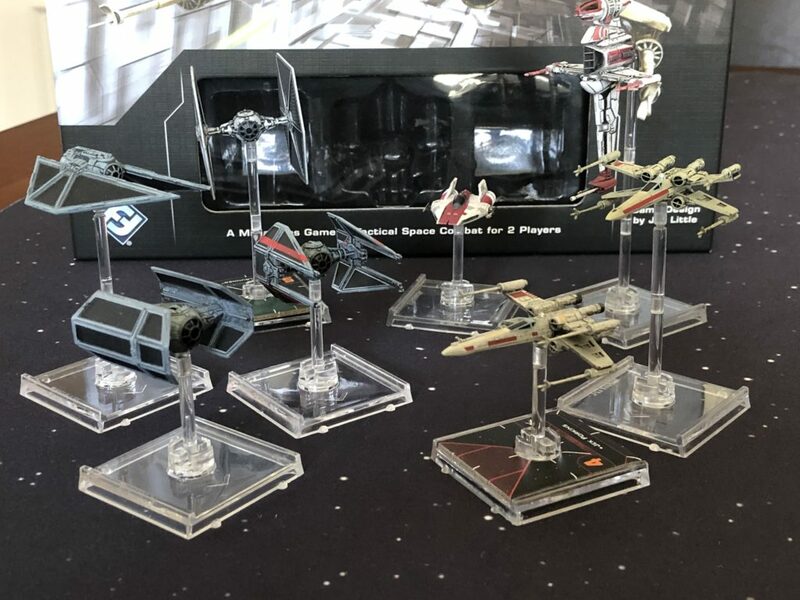 The other ships will be used as prizes for the Campaign Against Cancer event being held May 18t, 2019 at local game stores all around the country. FFG will also be at Celebration, with an exclusive Darth Vader for another one of their miniature games, But I have a feeling they will have demo times for all their Star Wars product during the convention. Getting started is as simple as the Core Set (MSRP) and then, as your skill grows, more ships are available in expansion packs from $20-$40 adding more gameplay and abilities to ensure victory. A simple game can take 45 minutes according to the rules (official play is limited to 75 minutes) and the application tracks pilot and ship points up to 200 (the max for official events). So far, I have enjoyed collecting ships and facing the collector’s dilemma of what to collect. I have decided to keep with Empire and Rebels for now. 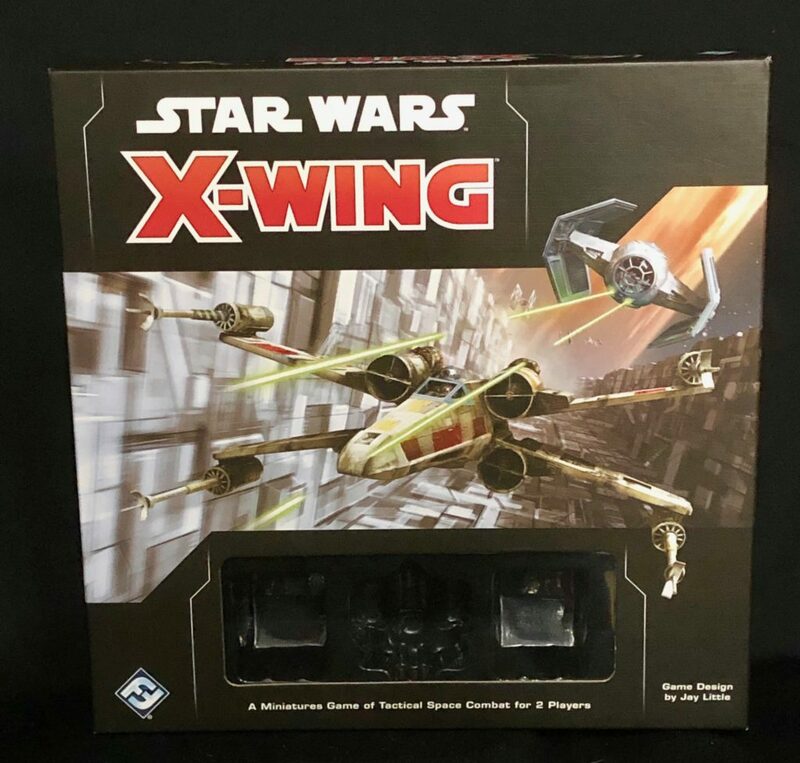 If you’re a fan of the scrappy underdog, or want to fly a full swarm of Tie Fighters, or battle as the Ace pilots that make up the Scum and Villainy faction, X-Wing Miniatures can give you all that, on your kitchen table.